Read updates of what the team have been up to during March here. If you want to find out more - watch this video from Healthwatch England! Healthwatch BwD will be hosting a Celebration Event on Wednesday 24th April, 10:30am to 2:00pm at Blackburn Youth Zone to mark the end of the Communities of Blackburn project which was commissioned by the Home Office as part of the Building a Stronger Britain Together (BSBT) programme. As part of the celebration we will be showcasing our short film that has been produced to reflect the views and opinions of our community in Blackburn. This project was designed “to help shape the community by encouraging the acceptance and appreciation of different cultures, behaviours and beliefs, while helping individuals to recognise the value of a diverse community”. We will also use this opportunity to discuss ways forward and recommendations. Booking essential for lunch and refreshment provisions. Please share with your contacts, to anyone who may be interested. Our latest Public Meeting took place on Monday 25th March 2019 in Hornby Lecture Theatre in Blackburn Central Library with guest speakers talking about the NHS Long Term Plan. Please click here for the presentation slides from all speakers at the event. Please read all about what we have been up to this month here. Want to find out more about Healthwatch? 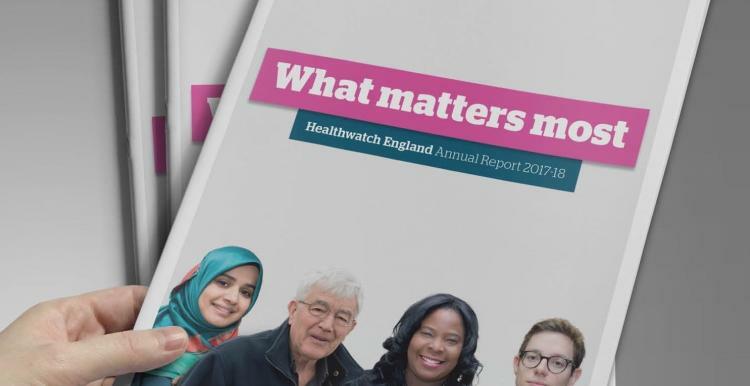 We're happy to share with you our new Easy Read Guide to what Healthwatch does and how we can help you get the support you need.